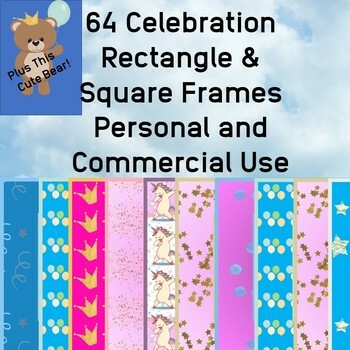 64 Celebration Rectangle and Square Frames. 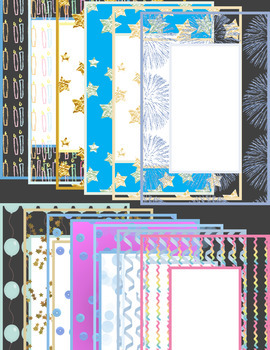 Rectangle and square pairs filled with signs of celebration from fireworks to confetti to candles to a dabbing unicorn with a cupcake! Perfect for celebrations big and small. 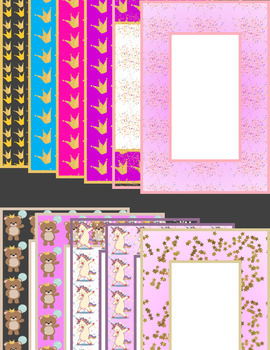 Many frames have transparent space so you can customize your background color – simply make a matching size square or rectangle, choose your desired color, and click send to back. 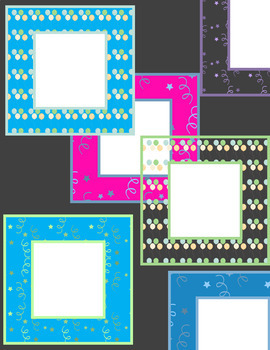 These frames are for personal and/or commercial use. No attribution required, but always appreciated.